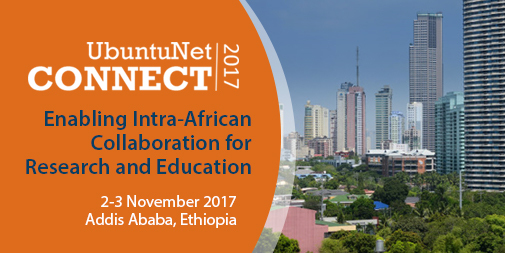 UbuntuNet Alliance is pleased to inform researchers and prospective authors that it is now receiving Abstracts for presentation of papers at UbuntuNet-Connect 2017, the 10th annual research and networking conference of the Alliance. Interested researchers and authors are now being invited to submit Abstracts of not more than 500 words addressing the conference’s three sub themes or on any other topic relevant to research and education networking. Authors whose abstracts will be accepted will be asked to develop papers that will be published in the conference’s report and proceedings published on the UbuntuNet Alliance website under ISSN 2223-7062. Abstracts should be submitted online not later than 11th August 2017. A full Call for Abstracts and other details relating to the conference are available online.